I cannot believe my daughter turns 3 today. Most of you have been with me on this journey from the day I announced that I was pregnant. Can you believe that it has been full 3 years since I introduce her to you all? 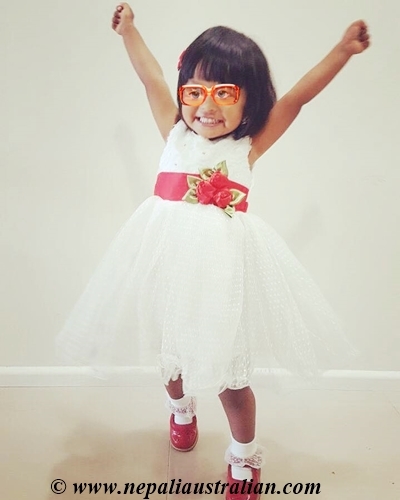 I wanted to write a letter to Chhori to reflect on the first few years of her life. I hope she will read this one day and understand how much we love her and how much she has changed our life. I still can’t believe how fast time has flown since the day I first laid my eyes on you. Even before you were born, you were already a part of me, every second of every day, for almost 9 months. For this reason alone, Chhori, I will never, ever stop loving you for the rest of my life. When I was pregnant with you I was a little scared at times thinking about how the future would be but the moment I saw you, I was sure things would be ok.
You were so tiny then, all helpless and fragile. I used to spend nights awake nursing you and just looking at you because you have completed me. I loved to carry you in a baby carrier with you enjoying hearing my heart beat and snuggling up against me. You evolved from lying on the cot, to sitting on your own, from carrier to stroller and from crawling to waking then running. Now, you’ve grown into a little girl who has accomplished so much. 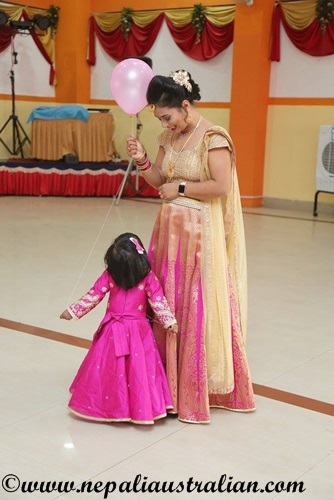 You are already potty-trained, know what you want to wear when we go out, sing along to numerous rhymes, dance to Nepali songs, can identify different shapes, colours, numbers, letters, and so many other things. You are this beautiful little soul. From you I have learned patience, I have experienced family, and I have evolved too. I am a better person for having you in my life. Every day is a testament to the wonderful person that you are, and Papa and I will always be proud of you. We love you, simply because you are our daughter. Happy Birthday Baby Girl. Wishing you a million days that reflect the possibilities you see. We are having party to celebrate so will post more about it later. 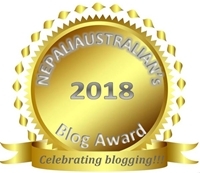 This entry was posted in Being Mum, Celebrations, Our daughter and tagged australian, australian nepali, bara, birthday, Cake, cake smash, chhori, daughter, going home, grandparents, kathmandu, M from nepaliaustralian, mum, Nepal, Nepalese, Nepali, nepali australian, Nepali blog, Nepaliaustralian, Nirbuni, Puja, Sagun, Sel roti, toddler, yomari. Bookmark the permalink. I know, time is flying so fast. Thank you. Love your blog. Happy birthday Chhori! may you live long happy life. Happy Birthday Princess! may you live long happy, healthy, and wealthy life. Best wishes for you. 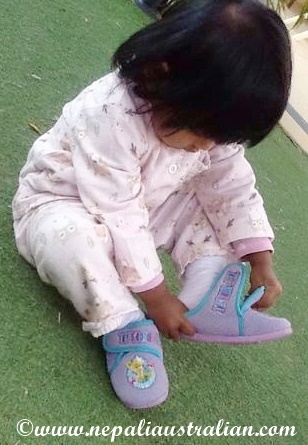 Lots of wishes and blessings to your little princess. Yes I have been along from the day you announced your pregnancy. Can’t believe it is three years already. May you all stay blessed. Thank you so much my dear . This is SO beautiful. And you and her. I’m excited for the journey with my (6month old) daughter. 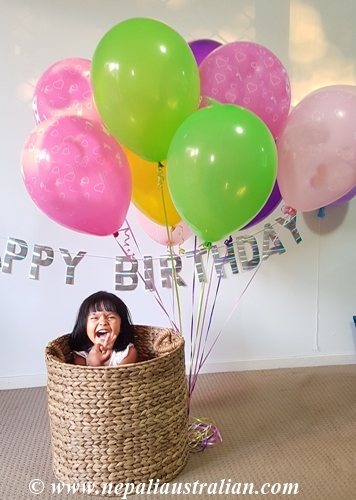 Bless her – happy birthday young lady! I do indeed recall your pregnancy, birth and those early days of her being a baby. How fast time flies!